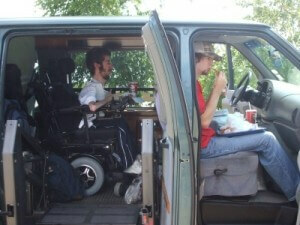 Having the freedom of my own wheelchair accessible vehicle has allowed me to create an independent, fulfilling life. My van has taken me many amazing locations and helped me experience countless incredible places and things. This is something that I am forever grateful for. As great as it is to have the ability to explore the world around me in the "Drotarcade", yet it can only take me so far. 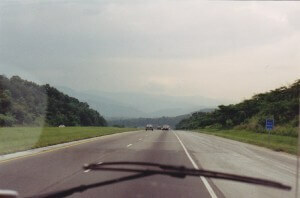 When it comes to traveling long distances, it is often impractical to drive. While an able-bodied person can just log on to Expedia or Priceline, book their flight, and take their trip without giving it much thought, for individuals with severe physical disabilities things are much more difficult. There are numerous logistical issues that have to be addressed before a disabled person can even consider airline travel, and for some people, like myself, flying is next to impossible. Even taking a long road trip poses significant hurdles for disabled people that make traveling great distances a major undertaking to say the least. This ability to just plan a trip, pack a bag, and go anywhere you like is something that is often taken for granted by able-bodied people. Today I am going to discuss some of the obstacles that prevent, or at least complicate, traveling for disabled individuals in the hopes that you will more aptly appreciate your freedom to travel the world. My van has greatly expanded my horizons and broadened my world, but obviously there is a limit to how far it can take me. Even for an able-bodied person driving 600 or more miles in a single day is pretty rough on you physically (not to mention your vehicle), but for someone with severe physical limitations and chronic pain issues taking a 12 plus hour trip by car is extremely hard on your body. In order to ensure that you can physically survive the trip and enjoy your destination, it is often necessary to drive no more than 6 to 8 hours a day. This may add several days to your trip depending on how far you are going. Not only does this lengthen your journey in terms of time (when vacation days are often tough to come by), but it also means additional nights in hotels, dinners eating out, and many other expenses that can greatly increase the cost of your travels. In addition, by lengthening the duration of your trip you have to pack for more days away from home. It is hard enough to pack things like clothes, toiletries, and such for a lengthy trip, when the worst thing that happens if you forget something is that you go "commando" for a couple days or buy a new phone charger. When you have major medical issues to deal with, not only do you have a lot more to pack (i.e. medical supplies, medications, emergency equipment, etc. ), but forgetting something could mean life or death (or at least a visit to a strange hospital). For these reasons, as well as many others, driving long distances is often out of the question for many disabled individuals. Since driving long distances is a large, difficult process for those with disabilities, you would think that flying would be a viable alternative. While depending on your specific physical limitations and needs air travel is more or less of an option. The obstacles that must be dealt with are numerous and often prevent using this mode of transportation. The issues that must be addressed fall into two main categories. The first set of problems involve the airplane and flying itself. For starters, to my knowledge, no airline will allow a power wheelchair onto one of their planes. This means that you have to ride in a seat other than your wheelchair, and many disabled people cannot sit in seats like those on an airplane. Additionally, this means that your power wheelchair goes with the luggage. I don't know about you, but I get anxious having a baggage handler making minimum wage taking my $10,000 wheelchair down to cargo. If it gets damaged, or worst of all, on the wrong flight, then I am stuck God knows where without my only means of getting around. This in itself is more than enough to scare me away from air travel, and this is just the tip of the iceberg. The second set of logistical issues that come with flying as a disabled person are in regards to getting around once you land. Let's assume the flight went great and my wheelchair gets back to me in perfect condition. There I am in some airport in some strange city, and it is time to head to my hotel. An able-bodied person would hop on a bus or flag down a cab and be on their way, but for someone in a power wheelchair it is not so easy. In my experience, most major cities do have wheelchair accessible taxis, but they are few and far between, and in a lot of places you often have to schedule your pick-up in advance. Whether buses and other forms of public transportation are wheelchair friendly is hit and miss, which means it is also a risky bet. If you know about your trip far enough in advance (6 months or so), you could rent a wheelchair accessible van, but this is often expensive. It should be apparent by now that this is a major problem for people with disabilities who want to fly, and it alone is enough to make traveling by airline impossible. There is one final obstacle to traveling great distances with a physical disability that must be considered no matter what type of transportation you are using. This worst case scenario is the awful possibility that you may get injured or ill while you are traveling, and how you are going to handle it. When you have a disease like spinal muscular atrophy, you realize early on that most doctors know very little about your disability, how it affects you, and thusly how to treat you medically. So if you go in to some random emergency room and a doctor you have never met walks in, you are not going to get the same level of care as you would if you were with your doctor and specialists. When new doctors first see me and how fragile and weak my body is they become very conservative and overly cautious in their decisions. This not only means that I don't get the aggressive treatment I need to help my body, but it also usually means that I spend much longer in the hospital than I really should. Unfortunately, I have actually had to go through this wonderful ordeal personally, and I assure you that it is not a situation you want to be in. That being said though, anytime I travel it is something that I have to consider. I hope that by reading about some of the obstacles those of us with physical disabilities have to overcome in order to take long trips, you now more appropriately appreciate your freedom to travel. Whether it is attending your college roommate's wedding, visiting your sister in New York, or heading to your childhood home during the holidays (all trips I am unable to take in the next year), take a minute to think about what a luxury it is to be able to travel. Be sure to remember what a gift this is, and how there are people who would love to have this freedom. Start planning that dream vacation to Cabo or that trip to Ireland you have always wanted to take, and take advantage of your ability to go anywhere you want. There is a lot to see out there.